As a ‘styling junkie’ I have enjoyed many visits to top-secret automotive design centres around the world, and spent time with some of the world’s most famous car designers, many of whom I’m fortunate to count as good friends. That does not make me an expert in car design, but it does hone your senses, and sensitivity, to many, varied aspects of designs. 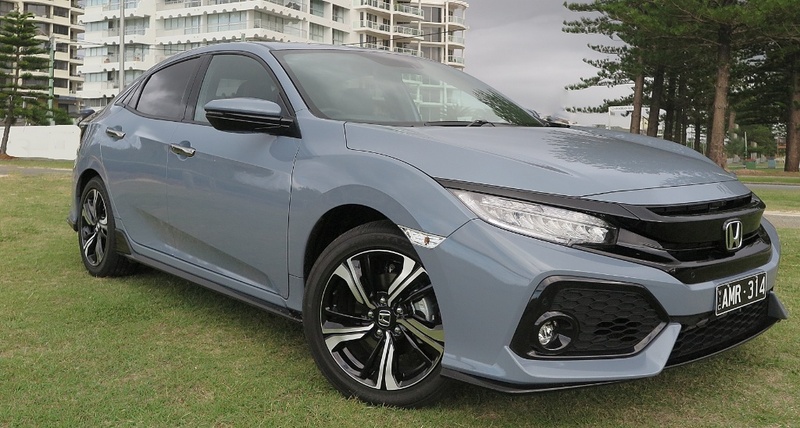 Last year my friend Peter Robinson (Editor of WHEELS magazine for 16 years, and the doyen of Australia car writers) reprimanded me for not being more critical of the styling of the Honda Civic sedan I reviewed here in DRIVING & LIFE. Another close friend, Australia’s most senior automotive writer, Paul Gover, has a phrase which he applies to cars which are ‘over-designed’ or unnecessarily fussy. He says the designer had ‘difficulty removing the pencil from his sketch pad’. Such is the case with the latest Honda Civic hatch. This is without a doubt a massive design disaster, and so affectated with lumps, bumps, channels, grooves, scallops, feature lines and bits of glued-on plastic, I will be very surprised if it resonates with buyers as good design. It is never more obvious than the rear section of the roof, where it flows (?) down to mate with the hatchback, which has a huge and garish spoiler adorning the lower section of the rear window. I’m certain none of the design touches have anything to do with aerodynamics, and much more to do with trying to be different and stand out from the crowd. Well, it stands out okay, but for all the wrong reasons. Then there are the fake vents in the extremities of the rear bumper, and the glued-on lower lip spoiler at the base of the bumper. It might be bright, shiny black plastic, but it just looks tacky. The front of the Civic of course retains the same fussy design elements, which offended Peter Robinson. 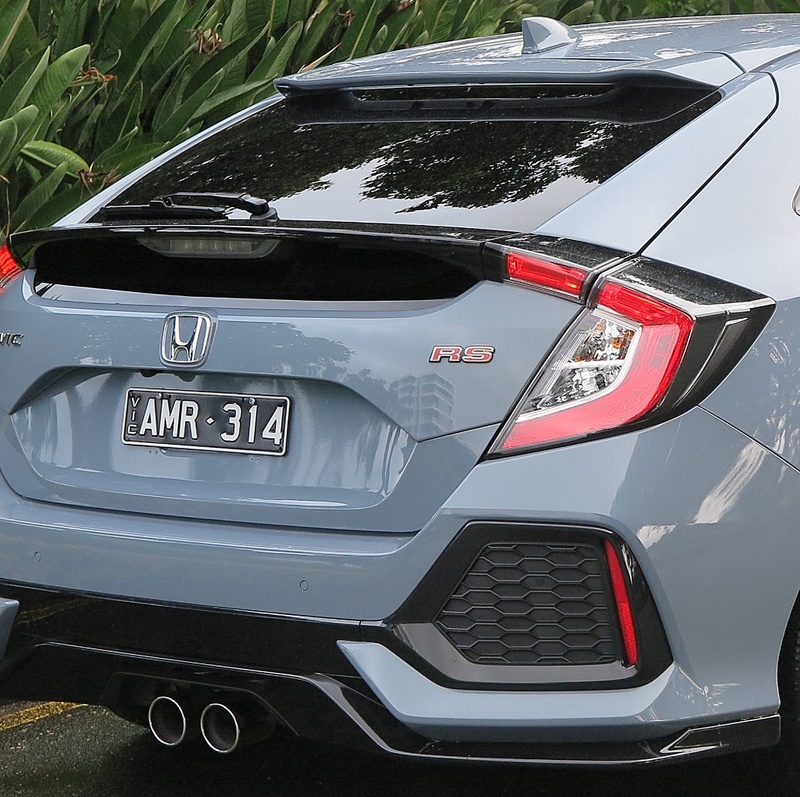 In an engineering sense the Civic RS drives well, handles precisely and is well finished, but even at the moment you press the Start button, the centre instrument in the display lights up like a disco screen, with flashing lights and pulsing colors. Obviously, the current Japanese design team has more goodies in store for us, when they restyle the next Accord, and others in the current Honda lineup. There's one saving grace at Honda, the new NSX. But, it was designed in Ohio by Lead Exterior Designer Michelle Christensen, another standout graduate from Pasadena's Art Centre College of Design. Hey Michelle, there’s a job waiting for you in Japan.